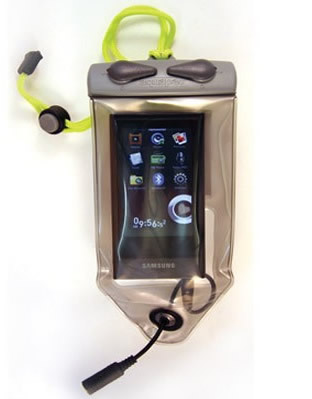 Waterproof iPod Case Aquapac. Waterproof Nano Case. Flexible protection for your waterproof iPod. Fits the Apple iPod Nano 1st, 2nd, 3rd 4th, 5th & 6th Generation. Supplied with a free armband. Clear front panel for operating controls and click wheels inside the waterproof iPod case. Compatible with H20 Audio, Overboard and Aquatunes waterproof earphones. Built-in external headphone jack for your earphones. Guaranteed submersible to 15ft/5m and keeps dust and sand out. Foam-padded for extra comfort and protection. Ultra light weight – only 50 grams/1.8 ounces. 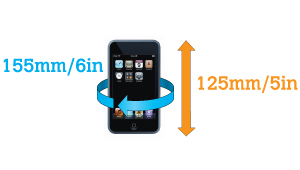 Waterproof iPod case accessories include Armband, Neckcord and Carabiner.